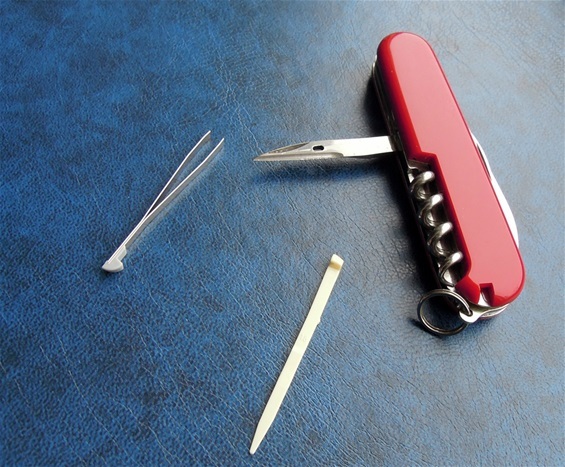 Today i would like you to show my latest Tourist 84mm knife. Basically it is a smaller edition of the Spartan 91mm with the same functions. Some of the functions are rather similar while others are shorter. The thickness on the functions also got a few differences with variations also there. Basically the Tourist is a compact 84mm category and not far from the 91mm category. The 91mm category is considered a bit better because it got the bigger handle and size of functions. The 84mm category is a very nice EDC carry because of the lightweight and small size for the pocket. It is a well-designed package and they are not far from each other. The Tourist is 52 grams while the Spartan is 59 grams. The two categories are interesting in design because the 84mm is compact package in design in which the functions fills the construction better. The 91mm category got a bit bigger functions and got a more comfortable handle. 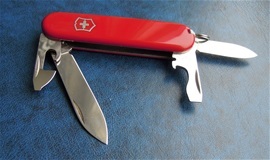 The Wenger 85mm for example was the main Swiss Army Knife category and it is a very useful size. I like them alot. 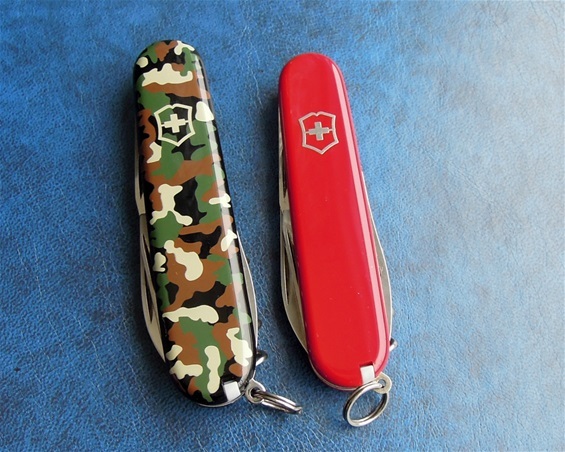 With Victorinox the 84mm category traditional SAK always seems to be a bit less popular than the main 91mm line. The 84mm knives got some serious precision made knives in history. The 84mm line also got handle scale variations, decorations and advertising for collectors like the 91mm line does. Some may notice that i usually never open all functions on the SAKs at the same time. This i have talked some about before. It is just a bit more careful use and a habit i got. The SAKs are always in the elastic region so it is no problem to open all the functions at the same time. For picture purposes it can be useful to show all the functions in one picture and so on. The reason for why i got this habit is because i have seen many second hand or used SAKs. If it got some damage then it is best to not opening all functions at the same time. The Tourist 1.3603 is completely new so i could have used one picture. Some also wonder about galvanic corrosion on the aluminum on some knives. With maintenace this is no problem. There are 0 problems with them in reality, they just need some mainetance from time to time when you use them.